An estimated 4.5 million people in the United States are bitten by dogs every year, and of those, nearly one-fifth end up needing medical attention because of the severity of their wounds. 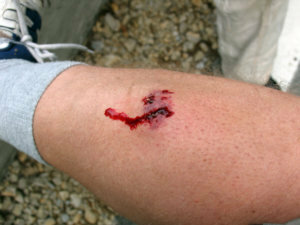 Children especially are at greater risk of being injured by a dog bite. It may not seem as important as seeking medical care but be sure to contact a personal injury attorney in the Quad Cities who has experience handling dog bite claims. They will ensure that you are properly compensated for your medical expenses, lost wages, and any pain and suffering you experience from the trauma of being a victim of a dog bite.